Most manufacturing plants, distributors, retail outlets and schools incorporate barcode printers for a myriad of barcode types with a specific design for your application. Barcodes are extremely important to track assets and identify items quickly when scanned. 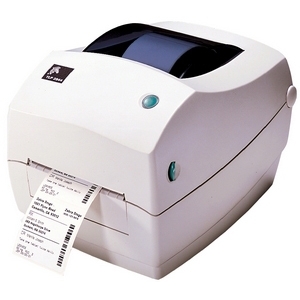 This type of labeling system automates your inventory for quickly scanning items instead of tedious hand counting to increase productivity and decrease costs. The knowledgeable staff associates at Tri-State Business Systems assesses your needs and creates a personal barcode system that is hand-tailored and streamlined for all of your applications. Associates have 20 years of experience in bar-coding supplies to fit your every need. Printers in every size and price range are available from the smallest hand-held model to mid-range and desktop printers for quick distribution and printing. Contact us for all of your barcode printer labels and accessories for your Zebra ribbons, such as Zebra barcode labels for a knowledgeable caring company to attend to your needs.